Actress Vivica A. Fox is engaged to a younger man, club promoter Omar “Slim” White, and she couldn’t be happier. 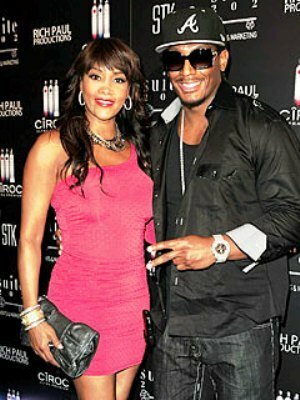 At 46-years-old, Vivica is 19 years older than her 27-year-old fiancé. Does this make Vivica A. Fox the black Demi Moore? The couple became engaged over the Christmas holiday, when White presented Fox with an eight-karat diamond ring; they have been dating for more than a year. According to the same source, Vivica and Omar are eager to start their lives together, and are looking forward to having children together. Good luck to Vivica A. Fox on this one. She was married once before, to singer Christopher Harvest; their union ended in 2002. Side Note: I realize I am not nearly as disgusted by the age gap between Fox and White, and I am by the one between Hugh Hefner and Crystal Harris, but there’s a huge difference between 19 and 60 years. Just had to throw that out there before anyone gets all pissy and calls me a hypocrite. previous post: Crystal Harris Is Blind To Hugh Hefner Age Gap. Yeah, Right. next post: Camille Grammer Needs To Stop Whining And STFU. Seriously. 50 queries in 0.997 seconds.